SPRAY is a motor launch and has worked continuously as a commercial vessel for 98 years. 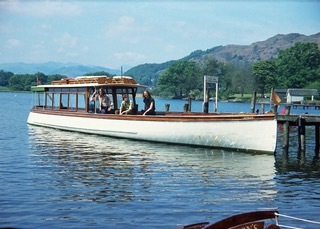 She is one of Borwicks fine passenger vessels, allegedly built in pairs, built to operate on Lake Windermere. 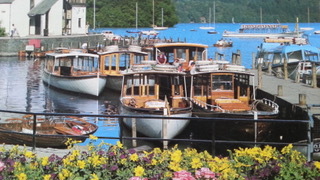 She moved to Stratford-upon-Avon in 1989 where she is in service every day from April to October. A BMC Commodore diesel engine was removed and replaced with electric drive in 2001. 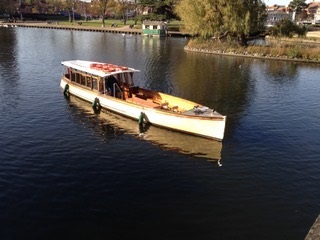 The vessel remains substantially original to her as-built form and layout.